Compare timings for graph drawing. Experiments were performed on an Intel Core i7 3.07 GHz Windows 7 system, with a time limit of 1000 seconds. 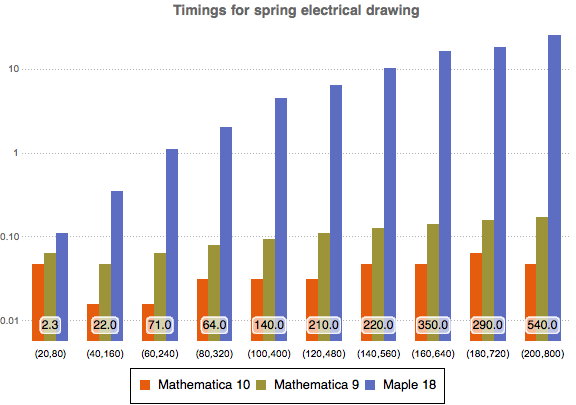 The number at the bottom tells how many times faster Mathematica 10 is compared to Maple 18.